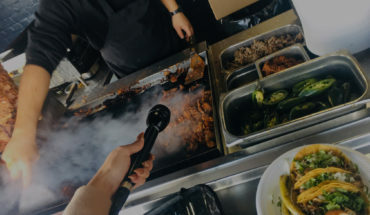 For many immigrants and people with immigrant parents, food is a way to connect with the culture of their home country. Students in the Feet in 2 Worlds journalism course at The New School went out to document the many ways immigrants cook, eat, and share cultural connections through food. Among them is Bronx resident Audley Grocher, a Jamaican immigrant who first learned to cook out of necessity, but now counts it as one of his favorite hobbies. 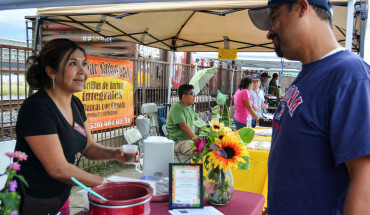 You can also listen to the story of a young couple who wooed each other with traditional foods from Haiti and Mexico. Kimberly Bonds produced this audio portrait of Audley Grocher, an accomplished cook from Kingston, Jamaica.